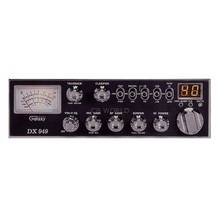 Galaxy DX 949 CB Single Side Band radio packed with all of the features that should be standard on all CB radios. Galaxy has answered the call and brought out a powerful CB that is includes SSB giving you up to 120 channels of voice communication in a standard size radio. If you have considered a sideband CB radio in the past but didn't want to spend the extra money, now you don't have to. The Galaxy DX 949 CB Radio offers USB and LSB operation, along with a lot of other great features, at a reasonable price. The DX949 comes pre-wired for a frequency counter which makes locking into the SSB frequencies much easier. Large easy to read display and 4 scale meter provide at-a-glance radio status. Talkback, roger beep, noise blanker, and automatic noise limiter make the Galaxy DX949 easy to listen to and even easier to broadcast over the air. Galaxy DX949 radios carry a best in class industry leading warranty. 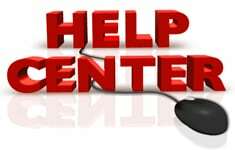 All warranty claims are handled at the factory, since Galaxy has no authorized repair centers. This ensures that only genuine factory trained repair technicians inspect and repair all Galaxy radios. This is a large size radio. CB World recommends using the DX929 in vehicles with a little extra space. The DX 949 includes a mounting bracket with two 5mm thumb screws for mounting.